The record store Grooves advertises their presence on Facebook in their shop window in Somerville, Massachusetts, U.S., July 25, 2017. 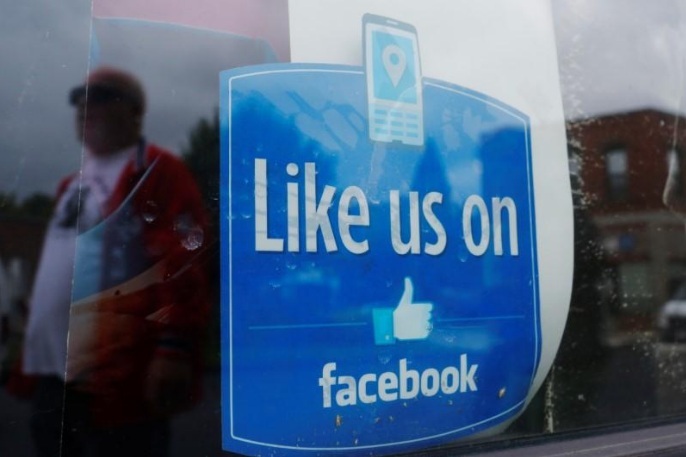 Facebook Inc inflates the number of people who can see the advertisements on its platform, a Pivotal Research Group analyst said in a note. “While Facebook’s measurement issues won’t necessarily deter advertisers from spending money with Facebook, they will help traditional TV sellers justify existing budget shares and could restrain Facebook’s growth in video ad sales on the margins,” said research analyst Brian Wieser, who maintains a ‘sell’ rating on the stock with a price target of $140 for year-end 2017. The estimations are based on several factors such as user behavior, user demographics and location data from devices, Facebook said in a statement, in response to the research note. In November 2016, Facebook launched a new blog on its website called Metrics FYI, to share updates and corrections for its data.